Winemaking and bureaucracy should not mix, says Tuscan vintner Paolo De Marchi, who has made a name for himself by taking unconventional routes in his winemaking career. Like an old friend, Paolo De Marchi greets me with a chuckle when I meet him in Marina Bay Sands’ Osteria Mozza restaurant, and offers me a plate of piping hot pizza and stuzzichini. I tuck my voice recorder behind a side plate and a glass—the black, metallic device suddenly appears cold and formal amid all this warm, effusive hospitality. “I knew I wanted to be in the agriculture business, like farming,” says the 63-year-old, who was trained as an oenologist. “But I decided be a winemaker because, unlike other food producers, I have more opportunities to meet my customers and talk about my wines. De Marchi is a veteran in Tuscany’s Chianti Classico region, where he runs Isole e Olena, an estate purchased by his family in the 1950s. It is known for its top quality Chianti Classico and the renowned Cepparello, a Super Tuscan that is a straight Sangiovese. 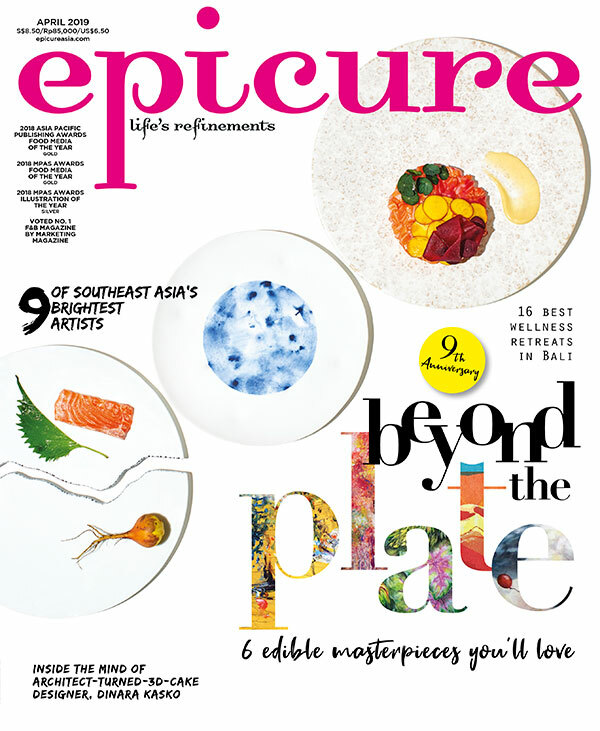 Excerpt from the May 2014 issue of epicure.